Do a design in the side of an updo or bun to add a little fun and edge. Cornrow your hair away from your face and/or into a bun for a sleek pulled back look. This is also great as a protective style. A straightforward way to rock cornrows and flat twists is as a protective style. Try it out while vacationing, or during the cold winter months. The variations for cornrowed and flat twisted updos are endless! If you don’t have the skill to do it yourself, take a picture to a salon. Incorporate flat twists into your two strand twists to make the look sleeker and more interesting. A single, double or triple row of flat twists across the front of your head is a chick interpretation of the bang. Frohawks are a fun party or holiday style. Ladies, have you tried any of these looks? How did you like them? Vote for your favorite below! Oh my goodness! These are lovely. I rock a lot of updos! Keep practising. Mine aren’t coming out right either! Before I cut off most of my hair in August, I used to do a lot of frohawks with the braids up the side. I also got into perm rod sets with one side and the back braided up, and it looked really nice for formal events and no heat required for pretty, shiny spiral curls! Very nice. I like them all but Amber’s front twist is sooo interesting! I must say bangs because I totaly adore the style of forum member Tesia. I juste love the look. MAGNIFIQUE !! yup love them all! My favorite natural style. Love these styles!!! And yeah, great to see Amber here!!!! She is amazing with the flat twist and cornrow styles!! Like, truly amazing!! I love this one Amber!! 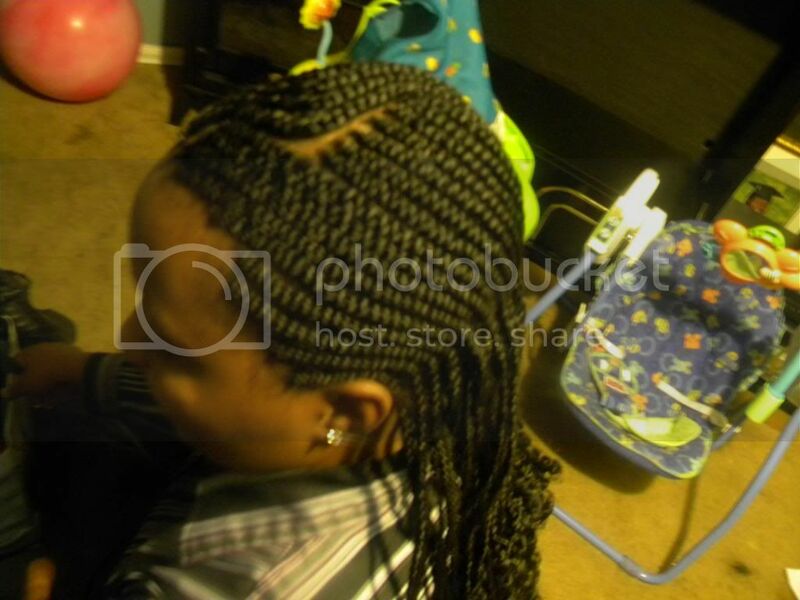 What did you use to secure the twists in back? Are they just pinned or did you use a banana clip? LOVE it!! Shelli, I JUST found out about this article. I didnt even know my photos where posted in the article. Im stoked of course. Thanks for the compliments Shelli…you know you’re my hair idol. The twists are secured with bobby pins. I have a tutorial on luvmykynxx blog for it too. I love love love the Updos! I’ve tried the twisted frohawks before and I liked it a lot, but I really want to try those updos they look amazing, I really want to learn how to do em this yr.
I’ve found a lot of success with taking pictures of updos I see online to salons. Even if they don’t specialize in natural hair, most black stylist can cornrow and flat twist pretty well. I just go to the salon with my hair already washed, conditioned, detangled and lightly blowdried, and the stylist does the rest. This has definitely been an updo year for me. I love the look! Yeah that’s a good suggestion I’m just nervous because I haven’t had a stylist in so long, and the last time I let someone braid my hair it broke off a bit, but I think I’ll try to find some one updos do look great on me. Actually I currently have a beautiful flat twist updo . It is sleek and stylish. I have learnt alot from natural hair girls on youtube and also this blog. And also I love Ms Laila’s and Charyjay’s updos. I love updos, so those pictures stand out to me. Especially since I’m on the Protect Ya Ends Challenge! i like all the hair styles but am just starting grow the natural hair so i need hair styles that are more suitable for the length of my hair. id love some tips on growing hair faster too.….. The first pic is dope. OMG! Beautiful! I love them! I want my hair like this. Laila’s and Amber’s are stunning. I love the mixture of curls with twists that Amber has. I made up my own flat twist style including a sock bun. I would love to plait my hair as means of protective styling but my hair is really fine and I’m scared to damage my hairline. Any advise? Don’t have them plaited or cornrowed finely. Tell whoever is doing them to not pull them too tightly either.